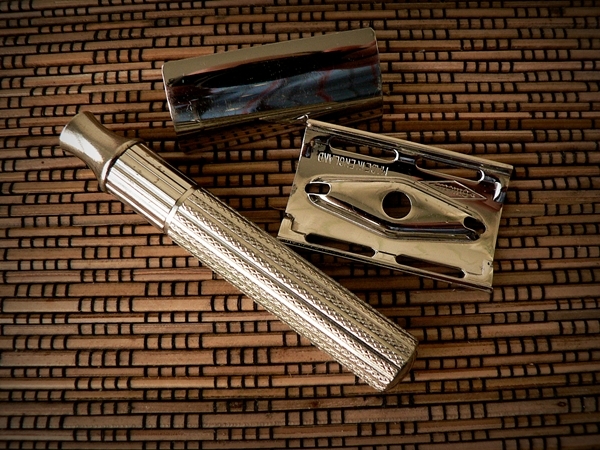 Let's see some of those classic Gillette razors made before the adjustables came on the scene. Here is a nice Sheraton. Awesome! 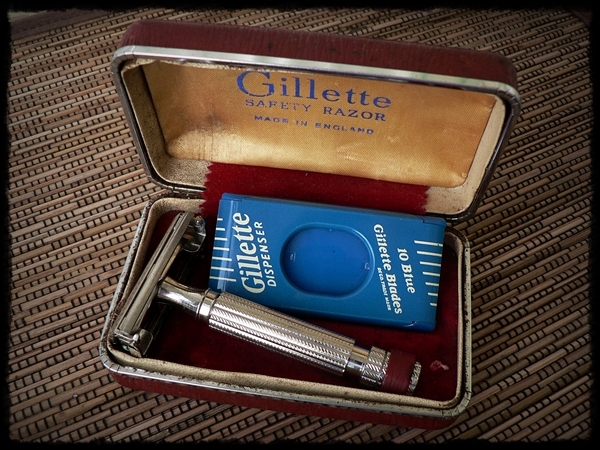 I am just starting my vintage Gillette RAD and posts like these are incredibly helpful. Amazing eye candy as well! 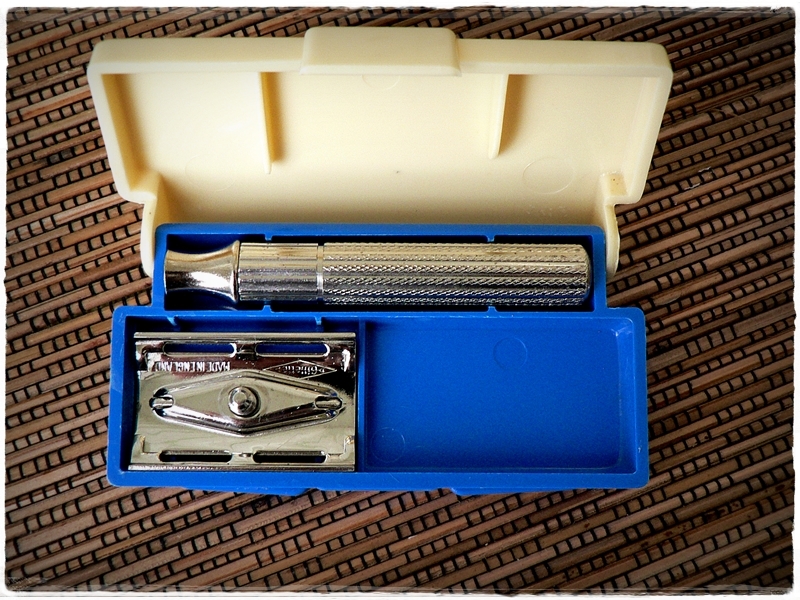 This was my first vintage razor purchase and, since I lent my EJ DE89 to a friend, my current travel razor in its original box. I don't think it had ever been used and is in perfect condition. 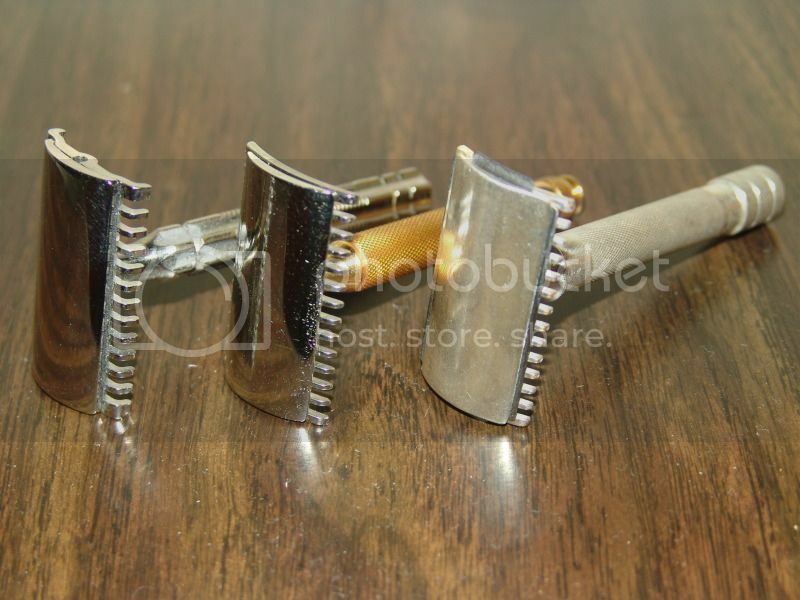 I didn't even know how lucky I was at the time to get such a great first shaver. 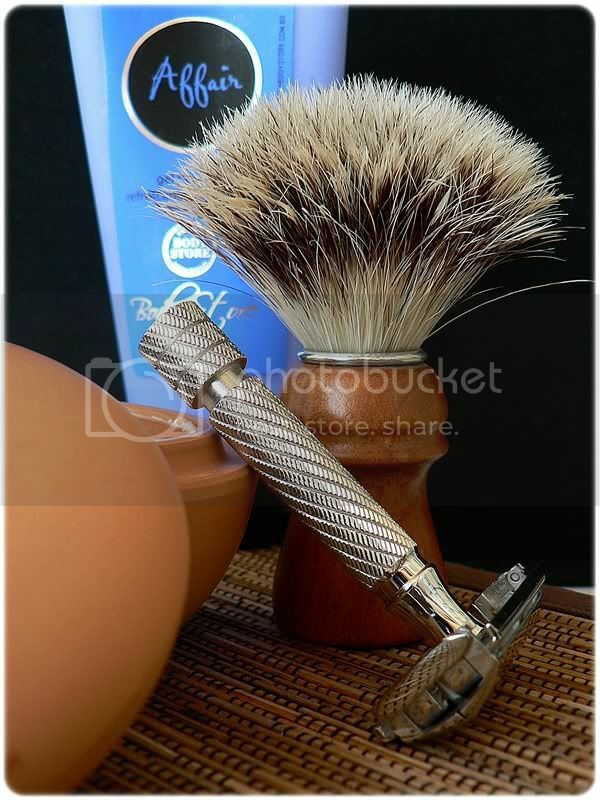 Also, the brush you see next to it was also part of the same kit that the razor came with. Bob Farvour put a TGN knot into it. The little bottle of green stuff is Eau D'Emeraude. 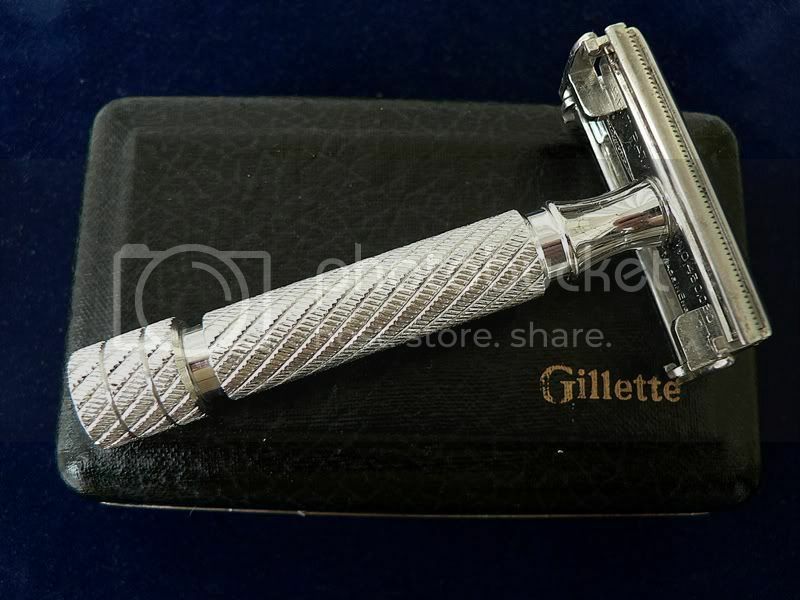 Here is a classic Gillette that was made the year following the end of WWI. Another classic made before World War II. What a sweet khaki set. (07-28-2012, 04:52 PM)oakeshott Wrote: What a sweet khaki set. Thanks! What is truly sweet is that it has not been cleaned. That is how it looked when I bought it. Let's not leave the Tech's out! How about a Single Ring from the British Isles. My classic user Gillettes from my cabinet. NEW long comb, OLD replate w/gold tech handle, and a single ring. I didn't get all the soap off of any of them the OLD is the worst- sorry. I'm bad. The SR is silver plated that's why it has that warm white color. Just fantastic IMO. Not shown is a 50's SS, Tech, and duplicates. They are certainly beautiful each and every one of them. I just picked up an interesting tech set at an antique shop in my travels but two hours ago, solely for the purpose of passing it on to one of our brotherhood who collects. It's a Red Cross give-away. I like to do this when possible, only hoping to cover the cost. I call it "shopping for others." If you're interested, keep an eye on BST (now that I have 25 posts!) where it'll be as soon as I can take some photos. Maybe late tonight or tomorrow. what is that charming gold and silver OC? Never seen one of those before.